Clarification issued over free town centre parking this Christmas – key events only! Clarification has been issued following some confusion over free parking in council-operated car parks in December. In previous years there has been free parking throughout the month, subject to the various time constrictions on the council’s long and short stay car parks. Over the past few days there has been some confusion from shoppers and conflicting messages on various social media pages over what parking initiatives are in place this month. Unlike the past two years Wrexham Council is not providing free car parking throughout December – rather to coincide with key events such as the Victorian Market and the new Christmas Village. The first free parking day of the month was over the weekend to coincide with Small Business Saturday and the opening of Santa’s Grotto. However there has been criticism from some over the placement of the signs on the pay and display machines advising shoppers of the free parking – with some arguing that the signage was badly placed and insufficient. Wrexham.com contacted Wrexham Council to find out if such issues will be sorted for the Victorian Market on Thursday. A council spokesperson also encouraged people to check reliable news outlets for up to date information regarding free parking during this festive season. 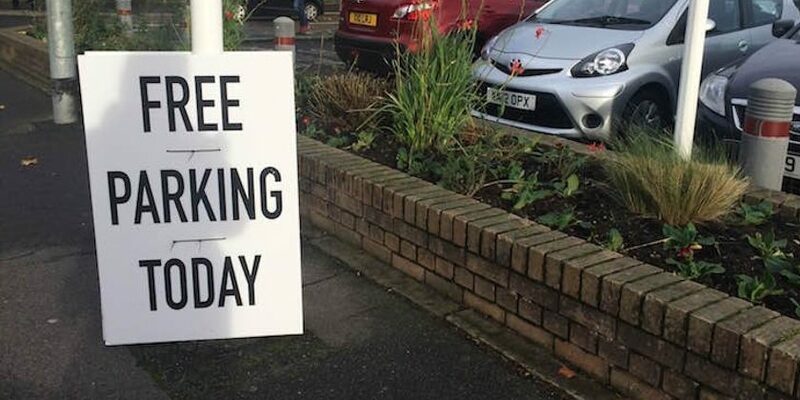 So when can you park for free in council operated car parks this month? – Victorian Market and Late night shopping: Thursday December 6th after 4pm. The December 6 event also marks the start of free parking for late night shopping which will continue on December 13 and 20 when shops are encouraged to stay open late. – Christmas Village on Llwyn Isaf: December 14th, 15th and 16th after 10am. More information can be found on the Wrexham Council website and also on our dedicated Christmas events page.